For more than a century, Duke Energy has provided safe, reliable and affordable electricity to our customers. Coal-fired power plants produced a good portion of that electricity. Throughout the past few decades, we have dedicated significant resources to the management and monitoring of our ash basins. We at Duke Energy care deeply about North Carolina and the health and safety of our communities. We are committed to working with the state of North Carolina, the North Carolina General Assembly, the North Carolina Utilities Commission and all of our federal and state regulators to fully address the events of the past several weeks as well as reach sound, responsible solutions for how we manage coal ash in our state. As we look forward, we are being guided by our priorities of protecting the health and safety of our communities and safeguarding the environment, while providing reliable, affordable energy to our customers. Our families and loved ones live in these communities too. Our future is closely linked to the future of the communities we serve. Drinking water from the Dan River has remained safe and the river has returned to normal water quality levels. As a company, we are working together on developing and implementing a disciplined, fact-based approach to evaluating long-term solutions for ash basins as quickly and as safely as possible across our sites. We will continue to pursue a combination of immediate steps and near-term actions that are part of an overall plan that will be fully implemented over the next few years. Each power plant site is unique, and the long-term solutions require analysis of trade-offs, risks and costs. We have established an internal strategic task force, with deep expertise, to oversee the comprehensive engineering review of every Duke Energy ash basin, as well as to implement near-term actions and develop longer-term solutions systemwide. This team is directly accountable to Lynn Good, Duke Energy's president and chief executive officer. We have engaged independent, third-party engineering experts to complete an assessment of all of our ash basins. We have asked for this work to be completed by May 31, 2014, and immediate action will be taken to address any identified issues. After securing the required permits, we plan to move ash at three retired plants, accelerate closure of an additional basin, convert to dry ash handling at all remaining facilities in North Carolina and begin dewatering the other retired basins. We have begun preliminary engineering to assess a broad range of potential options for management of our remaining ash basins. We expect to complete this work by the end of 2014. We are pleased with the progress we are making and are moving forward with the implementation of the near-term actions outlined in a letter we sent to Gov. McCrory and NCDENR on March 12, 2014, including actively pursuing landfill and storage solutions and converting to all dry fly ash handling. The independent engineering review is under way. Ash management is an energy industry issue that will be impacted by upcoming EPA regulations, some of which are expected in December 2014. We have dedicated teams in place ready to respond to any new or updated regulations. Our work will continue with all stakeholders, including federal and state regulators, to find solutions that position North Carolina and the other states we serve for the future. Duke Energy has a long and proud history in North Carolina. 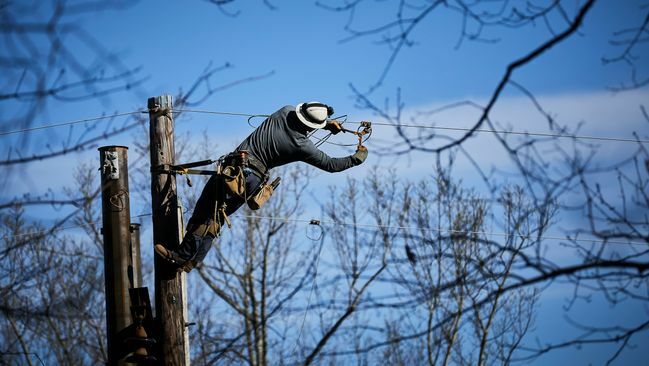 We have 13,000 employees and thousands of contractors throughout the state and provide energy that fuels homes and businesses. We are proud of what we do for North Carolina and we will uphold our commitments to the state.